What Does Acupuncture Do? | What is Alternative Medicine? Looking for a different approach to your health care? For many of us in the U.S., if we get sick, we go to our general practitioner or another doctor. The appointment and treatment plan are pretty standard, usually resulting in some kind of prescription or other plan. This style of medicine, called Western medicine or conventional medicine, helps many, but it’s not the be all, end all of health care. Alternative medicine, on the other hand, uses a number of products and practices that are not necessarily standard in Western medicine. Although acupuncture is not yet fully understood by Western science, research suggests Acupuncture can help relieve pain and is used in treating other illnesses worldwide. An acupuncturist gently inserts very, very thin needles into the skin at various points, and in combinations, that stimulate nerves, muscles and connective tissue and increase blood flow. This triggers the body’s natural painkillers. This practice, originating in ancient China over 3,000 years ago is part of the holistic system of healing called Traditional Chinese Medicine and is now widely accepted in Western culture. Sterile, single-use, disposable needles are the standard practice and the risks are low if you choose a practitioner that has the proper training and credentials. Chinese medicine is all about optimal health. 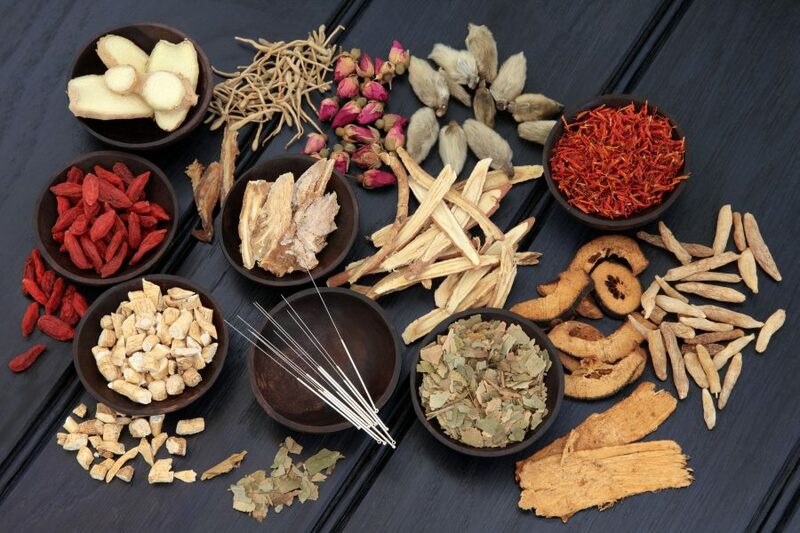 Chinese medicine encompasses many different traditions and modalities of healing. Originating over 5,000 years ago, it is centered around herbal medicine and is commonly used in tandem with Western Medicine as an integrative medicine concept. At Pinpoint Acupuncture Clinic, our practitioners have been extensively trained in Chinese Medicine and use herbs in combination with acupuncture and other modalities to form a tailored treatment plan for you. Whether you are seeking help for pain management, vision regeneration, stem cell enhancement, post-surgery recovery, or cosmetic reasons, we focus on you and your optimal health – from head to toe. Pinpoint Acupuncture Clinic has a number of alternative medicine therapies that go into your treatment plan. Herbal Medicines are usually given in the form of pills, extracts, capsules, tinctures, or powders. There are more than 2,000 different kinds of herbs of which about 400 are commonly used. Herbal regimens for use with major illnesses, such as cancer and heart disease. They are used to reduce the side effects of chemotherapy and strengthen immune systems in cancer patients and to improve cardiovascular health in heart and circulatory diseases. Other common illnesses treated with herbal combinations are diabetes, infections, and other conditions. Cold Laser Therapy applies different wavelengths and outputs of low-level light directly to a targeted area. The body tissue then absorbs the light and damaged cells respond with a physiological reaction that promotes regeneration. Although you’ll feel the laser device touching your skin, the procedure is painless and noninvasive. There will be no sound and you’ll feel no vibration or heat. Each treatment typically takes only a few minutes. Transcutaneous Electrical Nerve Stimulation (TENS) is a method of electrical stimulation which provides pain relief by exciting sensory nerves and thereby stimulating either the pain gate mechanism and/or the opioid system. The effectiveness of TENS varies with the pain being treated. TheraGun Percussion Massage uses a percussion vibration system not unlike a jackhammer. The frequency of the vibrations are specifically designed to override the body’s natural pain signals, allowing for a deeper massage. The TheraGun’s vibration and amplitude on the body send signals to the brain faster than pain signals can travel, reducing pain. Cranial Electrical Stimulation (CES) provides gentle electrical stimulation to the head to help normalize brain functioning for stress and stress-related illness including depression, anxiety, and sleep disorders. Microcurrent Electrical Therapy (MET) is an extensively researched microampere current to provide non-invasive, sustainable pain relief and pain management wherever and whenever you feel discomfort. Microcurrent is a low level of electricity that mirrors the body’s own natural electrical currents. Anodyne Laser System uses monochromatic infrared energy (MIRE) to release nitric oxide from red blood cells and has been clinically proven to increase local microcirculation and reduce pain. Celluma – LOW–LEVEL LIGHT THERAPY is the application of specific wavelengths of light energy to tissue to treat a variety of medical conditions. Low-level light therapy can be delivered through light emitting diode (LED) devices or cold lasers, and has a variety of applications across many medical fields to improve cellular performance. The treatment is non-invasive and painless. Cupping therapy is an ancient therapy which a practitioner puts special cups on your skin for a few minutes to create suction. The suction and negative pressure provided by cupping can loosen muscles, encourage blood flow, and sedate the nervous system. Cupping is an excellent treatment for high blood pressure as well as to relieve back and neck pains, stiff muscles, anxiety, fatigue, migraines, rheumatism, and even cellulite. Dolphin Micro Stim, Non Needle Stimulation sends tiny electrical impulses to locate and stimulate nerve and acupuncture points. When properly stimulated, these points relax compressed nerves to improve circulation and trigger the release of beta-endorphins, the body’s own painkillers. Get back to feeling your best. isn’t working right, contact us.